Here’s a quick thought experiment. Say you’re looking to buy a new toaster on Amazon. How do you decide between the hundreds of options you have to choose from? Sure, you can narrow things down by price. Maybe there’s a particular brand that you’re after. Or maybe you want that type that can toast four pieces of bread at a time instead of two. Even after you do that, though, you’re probably still left with dozens of options. So what do you do now? Chances are you look at product reviews. According to a recent white paper, over 90% of consumers reported that reviews matter to them when they make their buying decisions. So if you’re selling on Amazon, what does this means for you? In short, it means that when you first launch a product, you need to figure out how to generate a ton of positive reviews. With that in mind, in this article, we want to walk you through some dos and don’t for getting reviews on Amazon for your product. 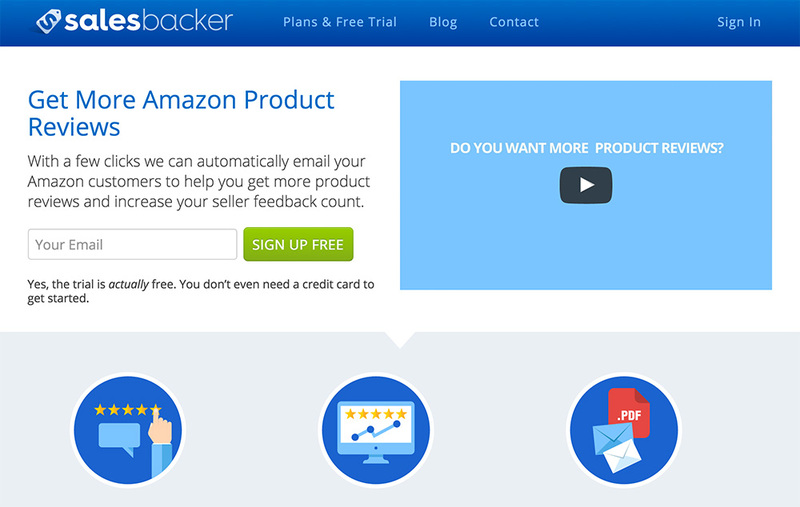 Let’s start with the very basics: where do Amazon product reviews come from in the first place? You’ll then be taken to a new window that prompts you to assign a number of stars to the product and write a short evaluation of the product. That’s it. And it’s that process that yields the reviews you find on Amazon. Since it only takes a few clicks and keystrokes for a customer to leave a review of your product, you’d think that it’s pretty straightforward to start generating reviews. Unfortunately, it’s not quite that easy. The problem is that there’s no real incentive for customers to leave a review of your product. Since a customer is not required to leave you a review, few do. The high-performing sellers we partner with here at AMZScout have told us that, in their experience, only about 1-2% of customers will leave a review for your product. In other words, for every one hundred buyers of your product, only a couple will bother to say something about it. This wouldn’t present an issue to you as a seller except for the fact that, as we noted above, reviews are one of the key drivers of sales of your product. Simply put, unless and until you create some social proof for your product, your conversion rate on Amazon is going to be relatively low. It’s therefore critical that you have a strategy for generating positive reviews—and fast. From the advent of Amazon’s review system until a couple of years ago, there were no real restrictions when it came to generating positive reviews on Amazon. Not surprisingly, given the importance of the review process to driving sales, people employed a variety of creative—and in some cases borderline unethical—practices in order to generate reviews. For instance, there used to be websites that enabled sellers to offer products to buyers free of charge, in exchange for buyers offering a review of the product. Some sellers simply purchased positive reviews from gig sites such as a Fiverr. Others would lean on their network of friends and family to leave them numerous positive reviews. 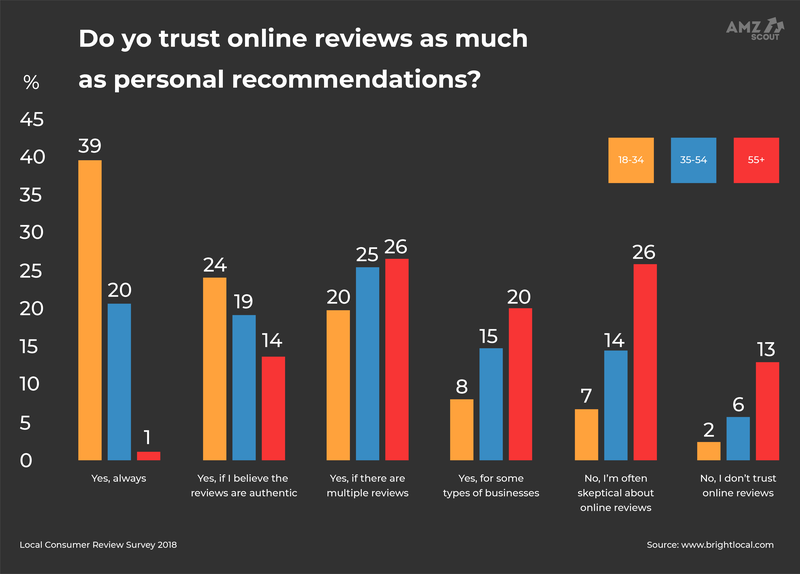 In recent months and years, however, Amazon has set a goal of ensuring that buyers can trust the product reviews they see on the site. In that spirit, Amazon and its regulators have begun to aggressively crack down on fake reviews and services that help sellers solicit reviews. In the fall of 2016, for example, Amazon formally banned the practice of offering incentives to buyers to entice them to leave a review for a product. Building on this, there have been reports in recent months of Amazon developing and implementing an algorithm designed to track potentially fake reviews. Even the American government has gotten in on the act. Last month, the Federal Trade Commission, one of the arms of the federal government responsible for consumer safety, brought a case against a company selling weight loss supplements on Amazon. According to the filing, the company had solicited dozens of fake reviews from a third-party site. To be sure, Amazon has not solved this problem entirely, and some sellers persist in using fake reviews to boost sales for their product. But Amazon is cracking down on this practice in an increasingly harsh way, which underscores that it is risky to go about generating reviews in this way. The bottom line is that there are better ways to generate positive reviews for your product that fall squarely within Amazon’s guidelines. So what are those approaches? If there is a wrong way to go about generating product reviews, what is the right way? As it turns out, there are a few steps that you can take as a new Amazon seller to drive product reviews as soon as you launch your product. None of these strategies will result in dozens of reviews overnight, but if done correctly, they will increase the frequency with which buyers leave review for your product. The first strategy is to use discounts to your advantage. There are two ways to go about this. One way is simply to lower the sticker price of your product when you launch it on Amazon. The logic behind this is simple: if your price is lower, your conversion rate will be higher, as you’re creating a larger potential pool of buyers who might leave a review for your product. The second and slightly more complicated way is to use Amazon’s Coupons program. Under this program, sellers can direct Amazon to create coupons affiliated with specific products so that when buyers are shopping, they see an opportunity to save and will be incentivized to purchase the item. That’s it! After you’ve launched your coupon, it should appear live to buyers within an hour or two, and some early adopters should begin to buy your product. After Amazon began cracking down on fake reviews, sellers complained that it was now hard to obtain customer reviews for products. In response, Amazon launched the Early Reviewer Program (ERP), a second strategy for generating product reviews. The basic idea behind the ERP is simple: when Amazon buyers purchase your product, Amazon will offer those buyers a small incentive (usually around $3) to leave a review for your product. The ERP is dedicated to new products: only products with between zero and five reviews are eligible to be enrolled in it. The ERP does come with some other caveats. It costs a flat fee of $60 to enroll a product in the program, with the fee payable only if and when the first customer leaves a product review. In addition, there is no guarantee that the review that a customer leaves will be a positive one: buyers are incentivized only to leave a review, not to leave a five-star one. On the next screen, click the “Enroll in Program” button. With that, you should be off and running. A third strategy is to leverage some of the existing assets that your company possesses. What do we mean by that? We mean that if you have an existing customer base and you have easy ways to reach them, you should promote your new product to them and ask that they leave a review on Amazon. If you have an e-mail list, ping your subscribers with a note linking to your product and a request to purchase it and leave a review. If you have a large following in a Facebook group, post about your new product and encourage your followers to buy it. If you’re getting lots of organic traffic on your brand’s website, you may want to redirect some of that traffic to your Amazon listings. Now, to be sure, this option may not be available to you if you’re just getting started on e-commerce and do not have an existing customer base to speak of. Even then, though, you can get creative. For example, you could think about partnering with another company that does have a following they can refer products to. The final approach we want to mention is to follow up with your customers after they purchase your product on Amazon. If you’ve purchased something on Amazon, you might know that, on occasion, the seller of a product will contact you regarding your purchase. For instance, the seller may need to let you know that the item is actually out of stock, or that delivery was delayed. It turns out that you can, as a seller, use this buyer messaging platform to your advantage. Specifically, you can send buyers a series of “post-purchase” messages asking them how they like the product and encouraging them to leave a review for you. You can do this work manually, but it’s pretty cumbersome to do, so we recommend you automate the process using some software tools that are out there for Amazon sellers. Two pieces of software that work well for this work are Salesbacker and Feedback Genius from SellerLabs. In sum, it’s never been more important to generate positive reviews for your products on Amazon. At the same time, with the new restrictions Amazon has imposed, it has also never been more challenging to play by the rules while doing so. However, with the help of some of the creative strategies we outlined today—leveraging Amazon’s discounting platform, using the Early Reviewer Program, drawing on your own assets as a company, and automating customer follow-up—you will start seeing the reviews you need in no time at all. We want to hear from you. What types of strategies have helped you drive reviews on Amazon? To reply, leave your comment below or send us an e-mail at amazondevcrew@gmail.com.